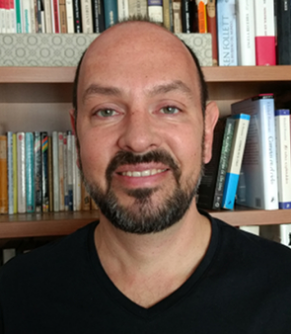 Martín Sombra is an ICREA Research Professor at the UB. He did a PhD thesis at the University of Buenos Aires, and postdoctoral stays at the MSRI at Berkeley, the IAS at Princeton, and the IMJ at Paris. He was also a Maître de Conférences at the University of Lyon, and a Full Professor at the University of Bordeaux. He is a member of the Board of Directors of the FoCM Society, and of the Advisory Board of the MEGA conferences. He currently works on problems at the interface of Algebraic Geometry, Number Theory and Complexity Theory, and collaborates with research groups in Barcelona, Madrid, Paris, Caen, Bordeaux, Santiago de Chile and Rochester.